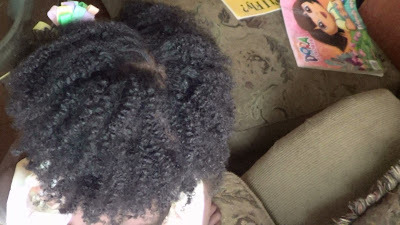 I know the picture is not that clear but her hair was nicely defined using this product (OBIA Natural Haircare's Curl enhancing custard). I liked the fact that it did not look like a braid-out. It looked like a wash and go. 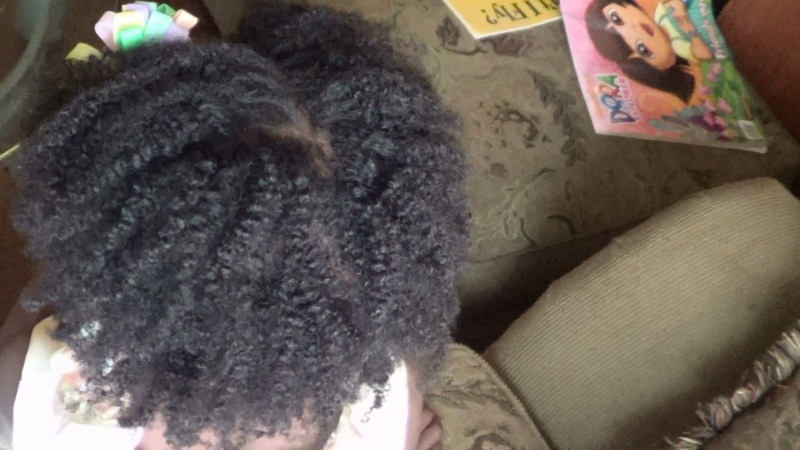 I basically applied the custard over the curl moisture cream (same company, check out my reviews HERE). I put her hair in about 7 braids but twisted the ends for less manipulation. After her hair was completely dried, I unraveled the braids with my slightly oiled fingers and pulled her her out from the roots for volume. I don't keep styles like these, on a little girl, for more than a day, as they do not last. Besides, the nightly braiding is just not a realistic and convenient regimen for a pre-schooler. 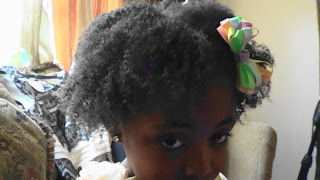 So I threw her hair in two strand twists the next day. Too cute!. 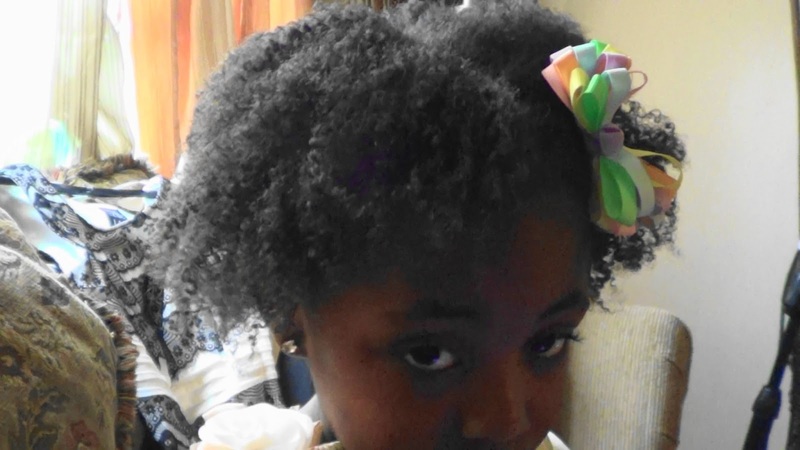 She is adorable, both her and her tresses are growing very nicely! Thank you:).. Yes I am seeing great results from her consistent regimen. Little L's hair looks great. Love the pretty bow.